Innovation meets sports car feeling. A study of the new electric sports car Piëch Mark Zero combines typical sports car attributes and innovative technologies with a timeless and attractive body. 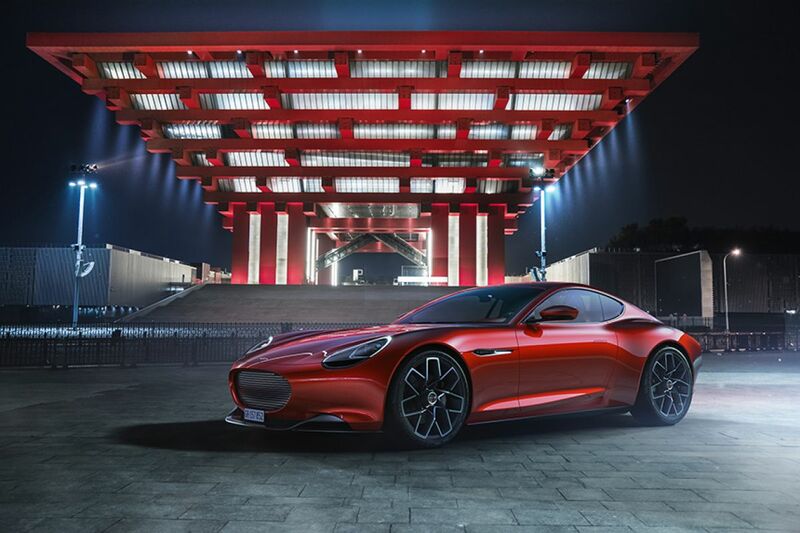 It’s the first of a family of products to be brought to market by Piëch Automotive in the next three years. Its flexible and open vehicle architecture allows the use of a variety of drive systems – like electric drive, hybrid, fuel cell or internal combustion engine. The entirely new type of battery cell hardly heats up during charging and discharging phases; it features a high rate of recuperation and can be charged up to 80% in 4:40 minutes. This means that fast charging takes only marginally more time than filling up a conventional car with petrol. Piëch Automotive is a German-Swiss vehicle manufacturer based in Zurich and Munich. Three and a half years ago, the founders and owners of Piëch Automotive, Toni Piëch and Co-CEO/Creative Director Rea Stark Rajcic had the idea to develop a new, flexible vehicle architecture. The first car they created is the Piëch Mark Zero, a vehicle that brings the fascination of a sports car into the electric era. It will be shown for the first time at the 2019 Geneva Auto Show. Thanks to the placement of the batteries (one in the centre tunnel, the rest at the rear axle), weight distribution and handling are expected to be similar to that of a conventional sports car with a combustion engine. In contrast to the widespread placement under the floor, this allows a low seating position typical of a sports car as well as precise handling, giving the driver immediate feedback. 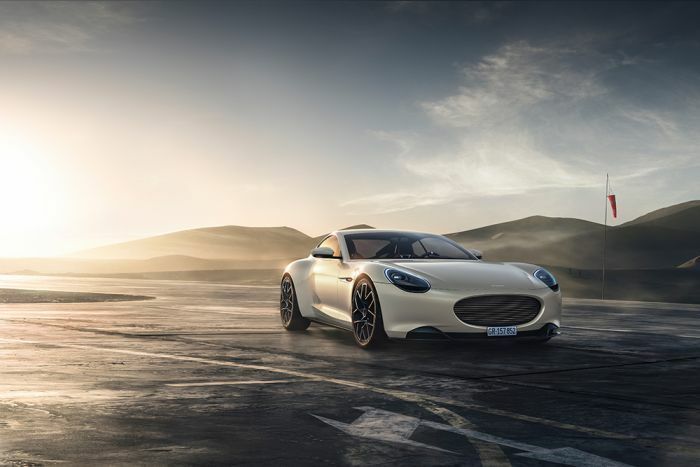 Co-CEO Piëch summarises the product requirements for the new Piëch Mark Zero thus: “We have developed a sports car that we ourselves would like to buy, and we talked for a long time to many enthusiasts about what was missing on the market. We want to offer a modern classic that isn’t subject to consumer cycles. The driver of this sports car should enjoy any minute they can spend in the car." The Piëch Mark Zero is an electric GT with a range of 500 km (311 mi) according to WLTP. The special type of cell hardly heats up during charging or discharging phases. Significantly higher currents can flow as the cell temperature rises only marginally. In addition to conventional CSC charging, the fast charging mode allows for a sensationally short charging time of only 4:40 minutes to 80% battery capacity with an exceptionally high recuperation rate. Because of the reduced heat build-up, the batteries can be cooled by air alone. This contributes to an overall weight reduction of around 200 kg, resulting in a total vehicle weight of under 1,800 kg. At the front axle, an asynchronous motor delivers 150 kW, while at the rear axle, two synchronous motors produce 150 kW each – guaranteeing typical sports car feeling! Piëch Automotive’s battery partner is the DESTEN Group Ltd., based in Hong Kong, China, with a research and development centre in Qingdao, China. DESTEN offers innovative cell and battery packs which feature extremely short charging times combined with low temperature development. Now DESTEN wants to roll out their battery and cell competence gained in the consumer sector in the automotive industry. The necessary charging infrastructure is supplied by Qingdao TGOOD Electric Co. Ltd. from Qingdao, China, and Hong Kong, China. The group of companies was founded in 2004 by Chinese and German engineers, is listed on the stock exchange in Shenzhen, China, and is a world wide market leader in charging stations and eHouse solutions. TGOOD operates 210,000 charging stations in more than 300 cities. Thanks to the modular concept, vehicles made by Piëch Automotive can be kept up-to-date over a long period of time as both the software and hardware (like for example the blocks of battery cells) can be updated or replaced as needed. At the same time, the modular structure allows a wide choice of drive systems: conventional internal combustion engine, different kinds of hybrids, true electric drive or fuel cell – all these drive systems can be realised using the same vehicle architecture. In the next step, this modular structure is also to be offered to other manufacturers in B2B business. Three vehicle variants are in planning: a two-seater, a four-seater and a sporty SUV. Other concepts like convertibles or pick-ups are also conceivable. Production will take place in cooperation with experienced partners with a long-standing successful history in contract manufacturing. The Piëch Mark Zero will be developed and produced strictly to German quality standards. The decision about manufacturing partners will be announced at a later stage.